Never dig up your septic tank lid again! Septic tanks are typically buried 1 foot below the ground and require hand digging to make them accessible. When your tank is buried more than 16 inches below ground level, we recommend having a manhole extension or riser installed. Manhole extensions make servicing your septic tank much easier by eliminating the need to dig up your lawn when your tank is serviced, which saves you time and money. They also make troubleshooting your system much easier if problems arise in your on-site wastewater system by breaking down slowly to degrade waste products like tissue, grease, fats and oils that cause problems in your drain field. A majority of drain fields fail prematurely due to an excessive amount of solids escaping the septic tank. Even septic tanks that are pumped regularly will discharge small amounts of lint, soap, grease and other forms of suspended solids. As solids accumulate in the leach field, the soil beneath the leach field will clog resulting in failure. By installing an effluent filter in the outlet baffle of the septic tank, a majority of those suspended solids get screened out and remain in the septic tank where they belong. 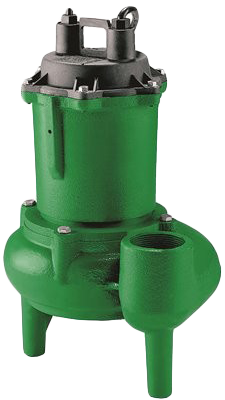 Effluent filters are very affordable and provide significant protection against drain field failure. We use premium rated sewer pumps that come with the best warranty in the industry, 5 full years. If your sewer alarm goes off do not hesitate to call. We can help you troubleshoot your system over the phone to prevent a backup or by just unplugging the power will prevent the pump from burning up. Sewer pumps should be inspected annually to ensure their optimum performance. Offensive odors vented from your septic system are a thing of the past. Odorhog™ Vent Pipe Filters can be attached by most homeowners themselves in minutes. They last for years and as an added bonus they can prevent snow and leaves from clogging your vent stack. 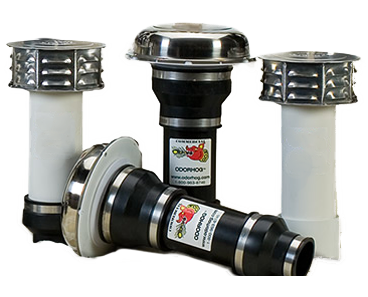 Odorhog™ even eliminates odors coming from RV holding tank vent pipes as well as marine holding tank vent pipes. Large waste water facilities have used the Odorhog™ to eliminate unwanted hydrogen sulfide odors. Rootx root inhibitor is a highly effective product for controlling root growth in sewer and drain lines. Rootx can be used in sewer lines to prevent any kind of re-growth of roots after the drain has been cleaned. Rootx can also be used before roots take over in your pipes. Aggressive Breakdown & Digestion of Tough Waste Streams!